The Tuesday Tour has now sold out! However, due to “popular demand” we will be doing an additional tour the very next night (Wednesday 4th) also at 4pm. As with the walk around on the previous afternoon, guests will be guided by Dave Clark (Site Manager) for John Turner Construction Ltd.
It’ll be a chance to see what redevelopment work has been completed over the last few months. 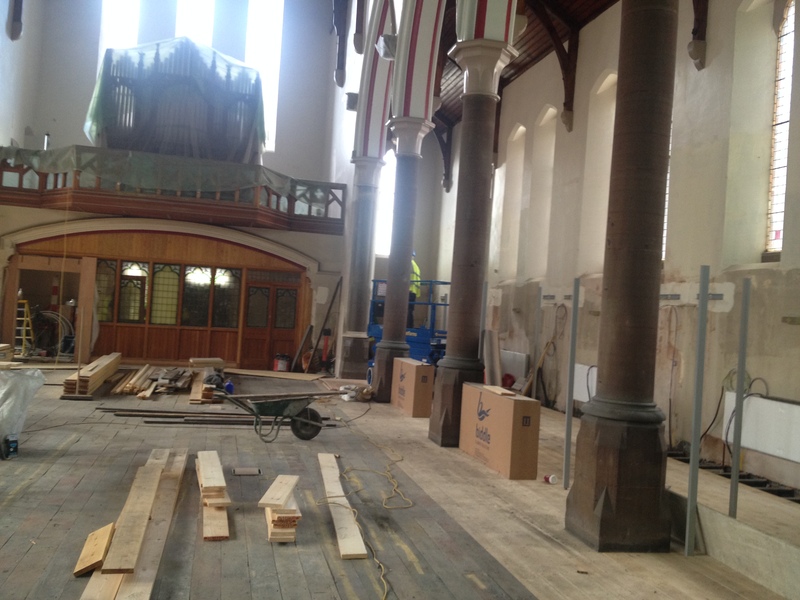 For example, having been inside St Marie’s last week, I can attest that the removal of the internal scaffolding and repairs to windows have made a huge difference to the feel of the building. I feel extremely excited about the progress we’re making. To come and see for yourself, book your place on the Tour by e-mailing mroberts@haltonsthelensvca.org.uk or call (01928) 593 118. Places are limited and will distributed on a first come, first served basis. 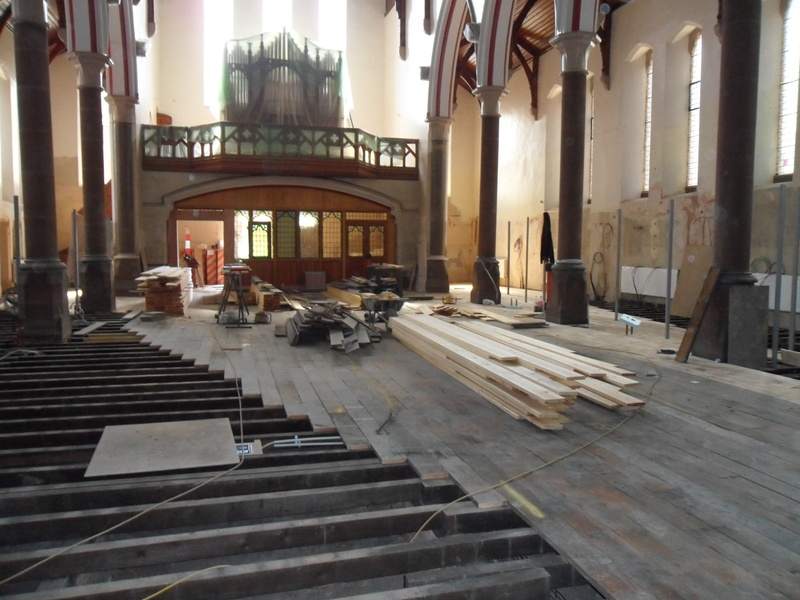 The Update Tour of St Marie’s has been rearranged for Tuesday 3rd June at 4pm. Sincere apologies for any inconvenience caused by the rearrangement. Places remain quite limited and will be distributed on a first come, first served basis. If you’d like to book a spot, please e-mail me via mroberts@haltonsthelensvca.org.uk or call (01928) 593 118. 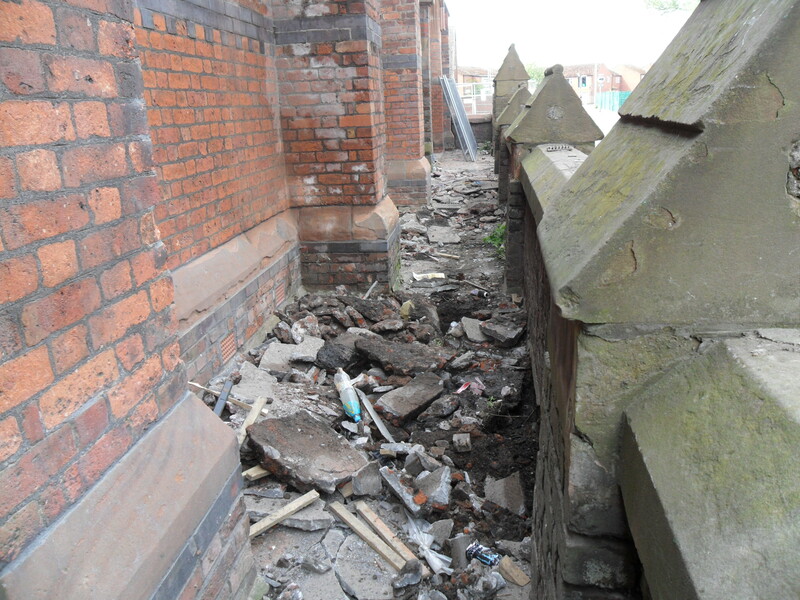 I’m delighted to announce that Halton & St Helens VCA will be hosting a Tour of St Marie’s on Monday 2nd June at 4pm. 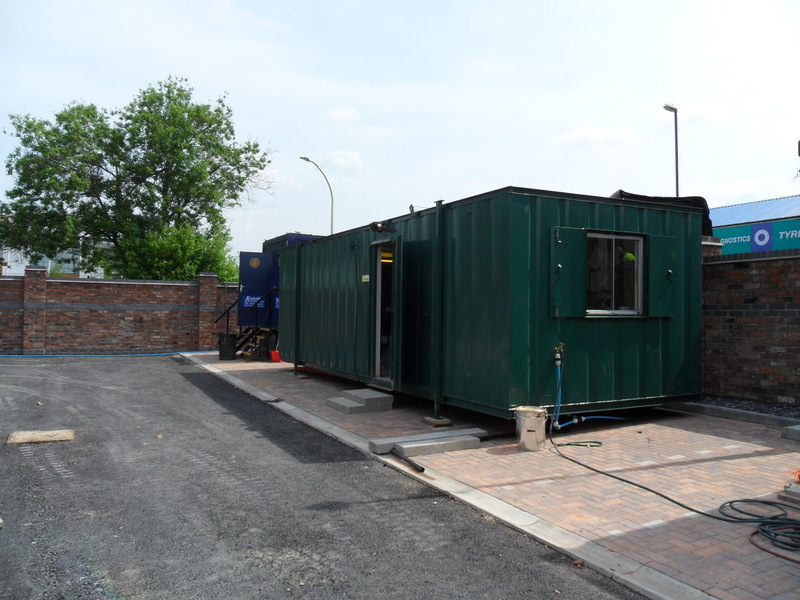 Visitors will be guided around the site by Dave Clark (from John Turner Construction Ltd) who will be able to update us on the progress of the redevelopment work and answer any questions guests may have. Places are quite limited and will be distributed on a first come, first served basis. If you’d like to book a spot, please e-mail me via mroberts@haltonsthelensvca.org.uk or call (01928) 593 118. 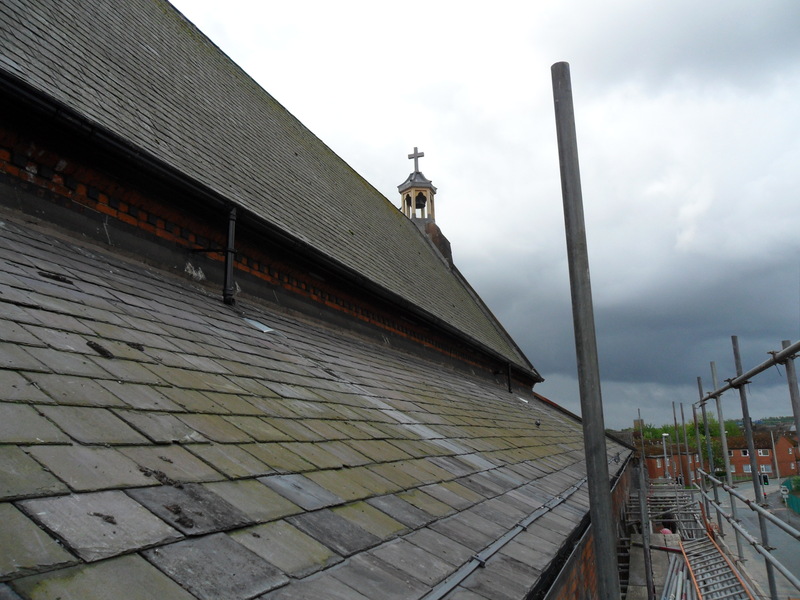 Here are our most recent Pics of the Week, as captured by Dave Clark from John Turner Construction Ltd.
Lower mid roof repairs now complete including new lightening protection. Dave’s office gets moved to the far side of the car park. Commencement of breaking up existing pathway in order to install new drainage and paviors. 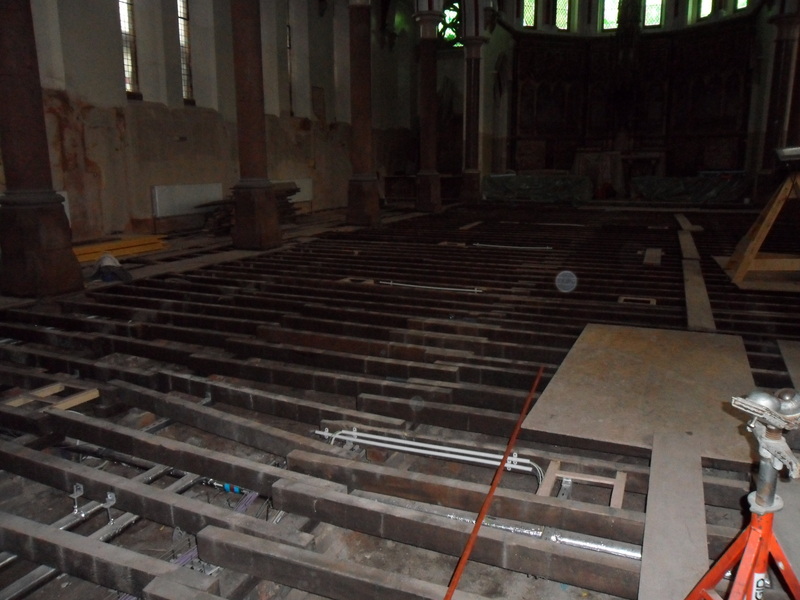 Existing floor boards being relayed and once used, the remainder will be laid in new boards. Once stained and finished, they will all match. This is a hydrometer used to measure the moisture within the new concrete slab in the extension. 75% or less does not require any further Damp Proof Membrane. 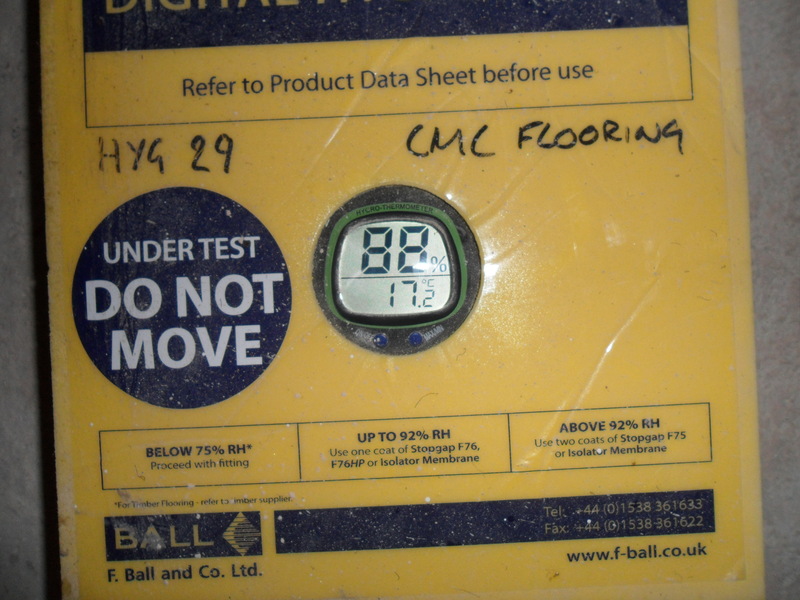 This score of 88% required a liquid DPM prior to laying new floor finishes. Hello. There was no Week 27 due to Easter, but we’re back with the best of the action from this week’s work. Our thanks (as always) go to Dave Clark, Site Manager (& Chief Photographer) for John Turner Construction Ltd.
New floor boards have been laid in the areas where dry rot had caused significant damage. This photo shows the area to the right of the altar. It’s been a while since we had a photo of a hole, so this shot made me nostalgic. 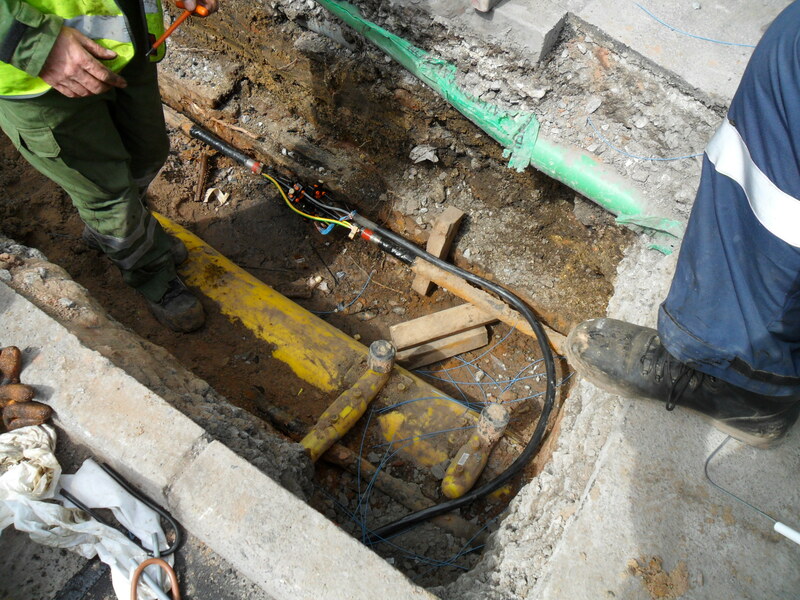 This photo captures the connection of the new incoming electric mains on the footpath by the school on Lugsdale Road. The extension is really starting to take shape. 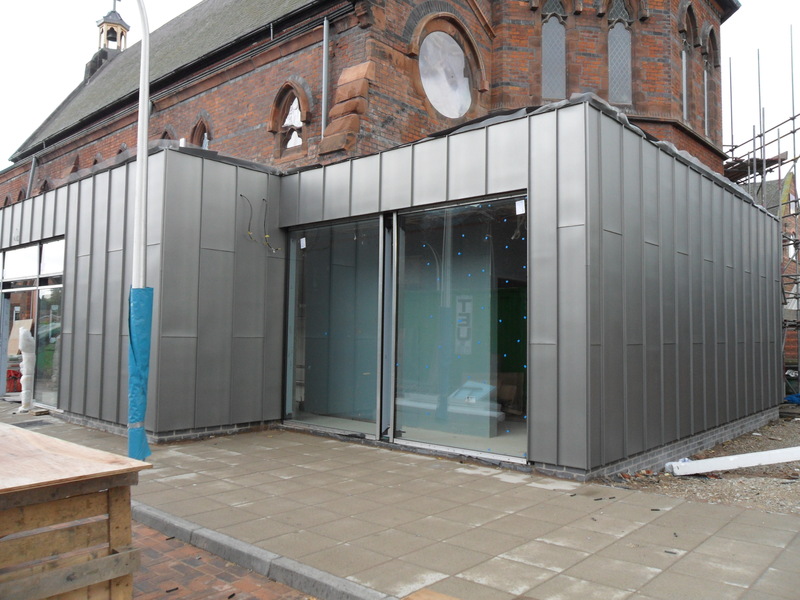 Note the feature vertical zinc cladding. 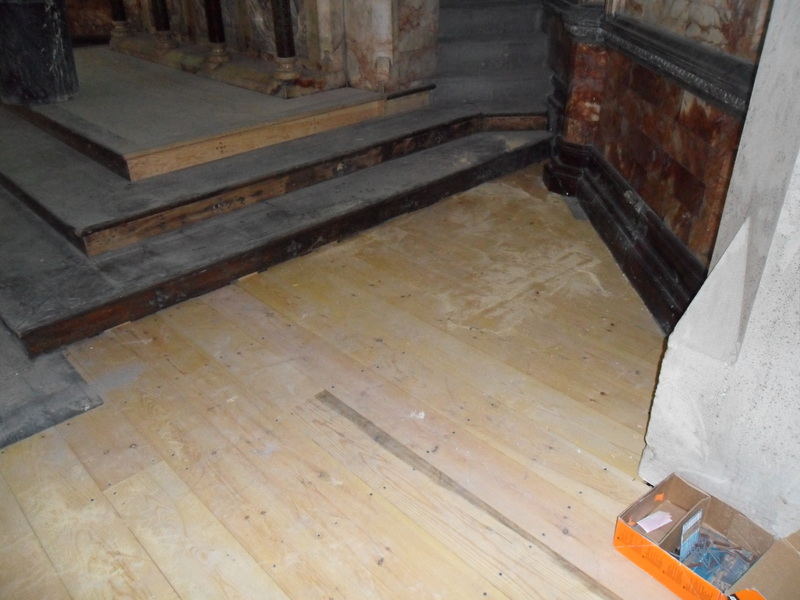 The floor boards were completely removed to allow the cleaning out of the floor void in order to relay the existing floorboards along with new which eventually shall be sanded, stained and re-varnished.